ONCHAN, Isle of Man – July 31, 2017 – Multi-platinum and GRAMMY winning artist, DJ and producer Zedd will test his poker skills on the felt and take to the stage at PokerStars Championship Barcelona, it has today been announced by PokerStars, an Amaya Inc. (Nasdaq: AYA; TSX: AYA) brand. The star, who has collaborated with some of the world’s top music artists, will compete in the €7 million guaranteed PokerStars Championship Main Event at Spain’s biggest poker event of the year, which takes place August 15-27 at Casino Barcelona. Zedd will also perform a 90-minute set at the PokerStars Player Party on August 21 at Opium Barcelona, a short walk from Casino Barcelona. Doors will open at 10pm for attendees with exclusive golden wristbands and midnight for members of the public. 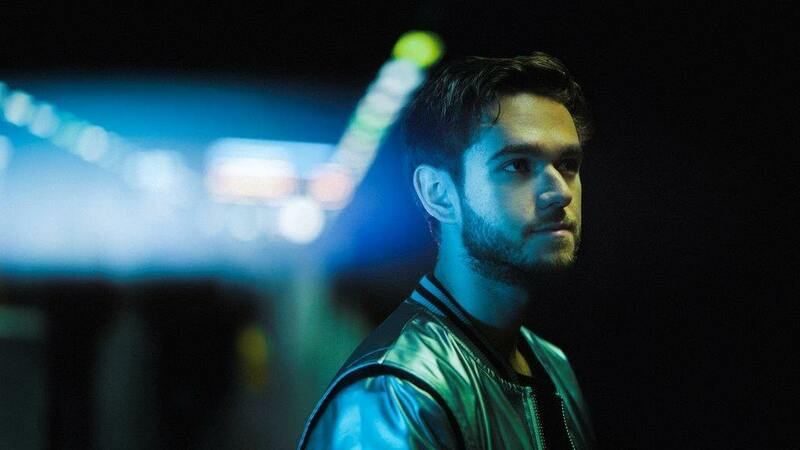 Zedd said: "I’m excited to play at my first PokerStars event. I have a personalised poker table at home so I play a lot of home games with my friends which are really fun and always make for a great night. It’ll be something new for me to attend a tournament as huge as PokerStars Championship Barcelona. I’m looking forward to experiencing the atmosphere and playing against some of the world’s greatest poker players." "Poker is a game of skill that everyone should embrace, so it’s great news that celebrities Kevin Hart and Zedd will be playing in Barcelona. I hope that the participation of these two talented individuals enriches players’ experience at PokerStars Championship Barcelona," said PokerStars Director of Marketing David Carrion. Joining Zedd at the event will be Hollywood comedy sensation Hart. The pair will be pitted against poker enthusiasts and professionals from around the world, including Team PokerStars Pros Daniel Negreanu, ElkY, Fatima Moreira De Melo, Felipe ‘Mojave’ Ramos and Marcin Horecki, who are looking to claim this year’s crown from Polish young gun Sebastian Malec. Last August, the 21-year-old player, who had qualified into the event for €27 online at PokerStars, took home the trophy and €1,122,800. Barcelona has hosted dozens of memorable moments in a rich history of PokerStars sponsored events, garnering a reputation for big events and big money. PokerStars Championship Barcelona will feature a host of tournaments for players to sink their teeth, and over the course of the 12 days and over 50 scheduled tournaments will have more than €13 million guaranteed in prize pools. The flagship €5,300 Main Event will feature a guaranteed €7 million prize pool pitting poker enthusiasts against professionals, all of whom have their eyes fixed on the glory of becoming Barcelona’s first PokerStars Championship winner. The event will also feature the prestigious Super High Roller and the €4 million guaranteed National Championship. Satellites are currently running on PokerStars where players can qualify for as little as €1. To find out more information about PokerStars Championship Barcelona go to: http://psta.rs/2swtNHq. The PokerStars Championship, sponsored by PokerStars, is the world’s biggest poker tour. Bringing together some of the world’s most exciting and prestigious poker tournaments, the PokerStars Championship incorporates some events previously part of the European Poker Tour, North American Poker Tour, Latin American Poker Tour and Asia-Pacific Poker Tour. Collectively, these events have paid out well over $1 billion in tournament prize pools globally on five continents since 2004. Confirmed PokerStars Championship sponsored live events for 2017 include the Bahamas, Panama, Macau, Monte-Carlo, Barcelona and Prague with more events to be announced in the coming months. PokerStars Championship and PokerStars Festival poker tour brands are ultimately owned by Amaya Inc. (Nasdaq: AYA; TSX: AYA). Further information on the PokerStars Championship and PokerStars Festival is available online at http://www.pokerstarslive.com.